Run by industry darling, Pat Sloan, the Aurifil Designer of the Month Program has been a mainstay of the Auribuzz blog since 2011. It all began with Pat’s offer to design a Mystery Block of the Month for Aurifil’s customers in 2010. 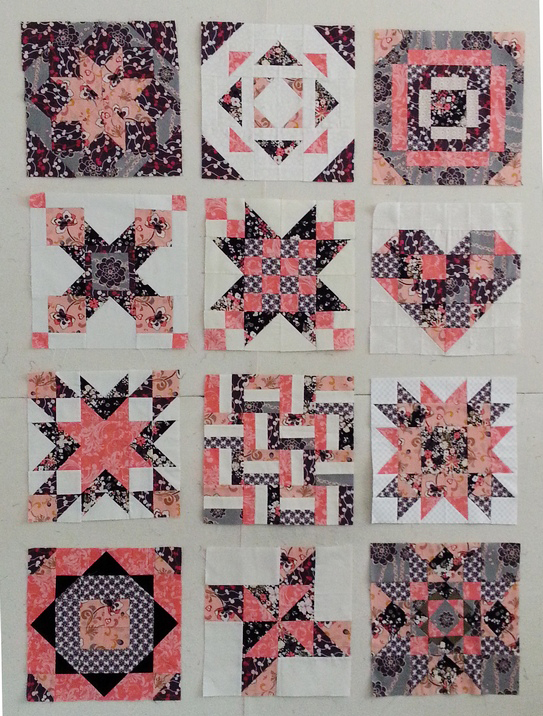 It was such a success that Pat suggested we continue the block of the month model with the selection of 12 designers per year, introduced via a ‘Designer of the Month’ interview along with one unique quilt block. Every year since then, Pat has assembled a new team of top-notch Designers, featuring one per month throughout the year. Posts generally share an interview, some fabulous images of projects made, studio spaces and more, and a FREE block + a chance to win Aurifil thread. 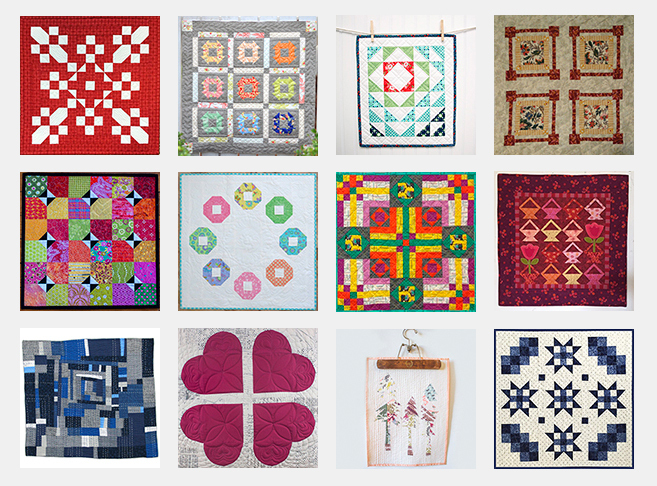 At the end of every year, Pat offers a suggested quilt setting. It is a great way to get to know new designers, to try new techniques, to share in a quilt along experience, and to do some collaborative quilting! Blocks are posted on Auribuzz on the 15th of every month. 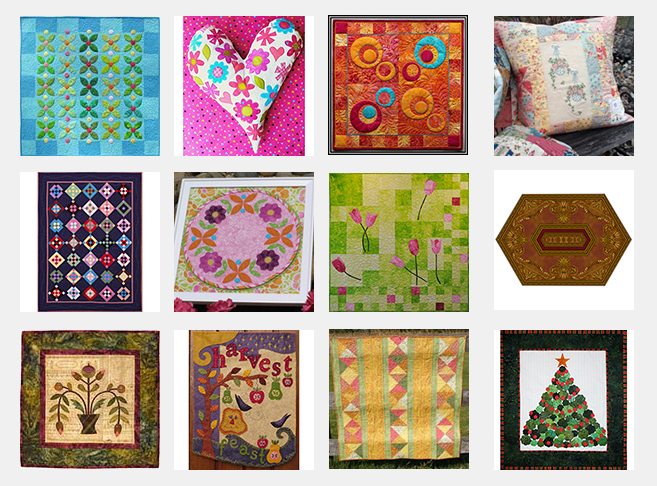 Patterns are all available here on our website via our FREE PATTERNS page. 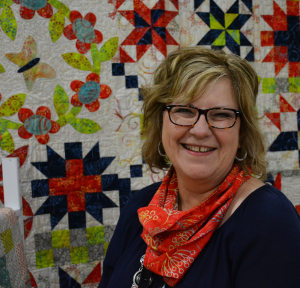 Pat Sloan is a designer, author, and lecturer, and with her weekly radio show, she truly is the “Voice of Quilting”. 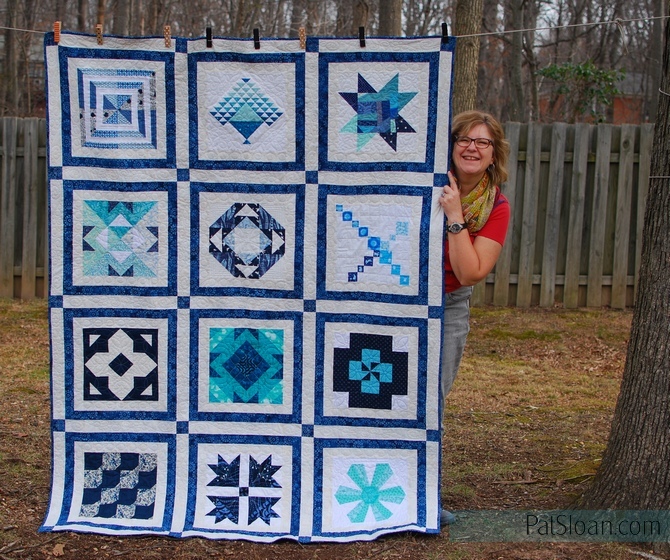 Pat has a deep passion for making quilting fun for herself and for everyone around her. 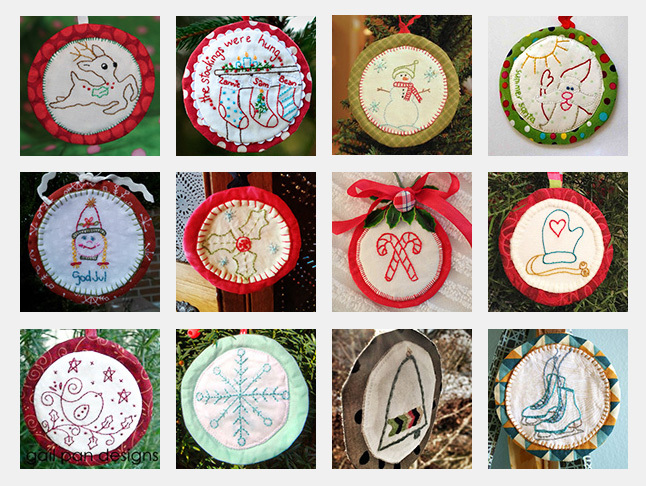 She loves to hang out with quilters on the internet as well as visit them in person. Be inspired to get more done! Having sewn since she was a child and quilted for over 20 years, Pat eventually looked to her craft as a business. 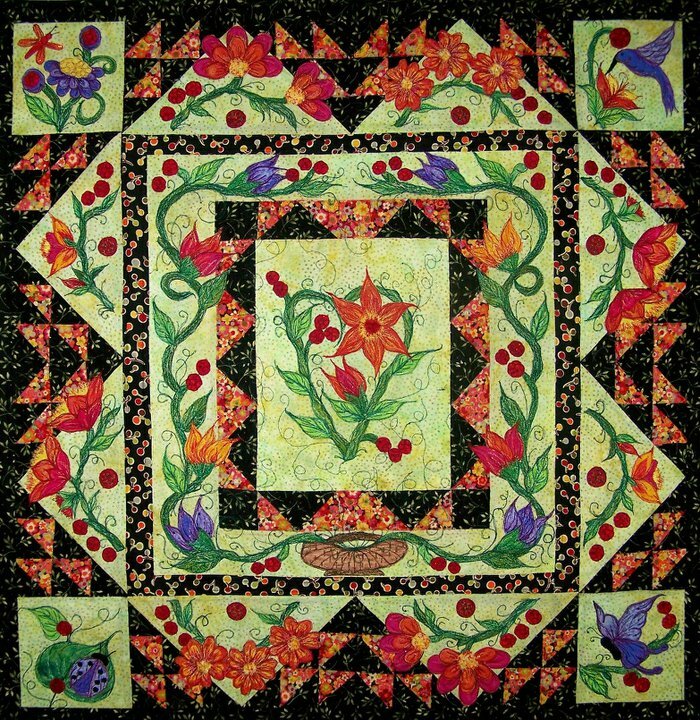 After a few years quilting she started to teach quilt making to others and then turned her skills to pattern designing. 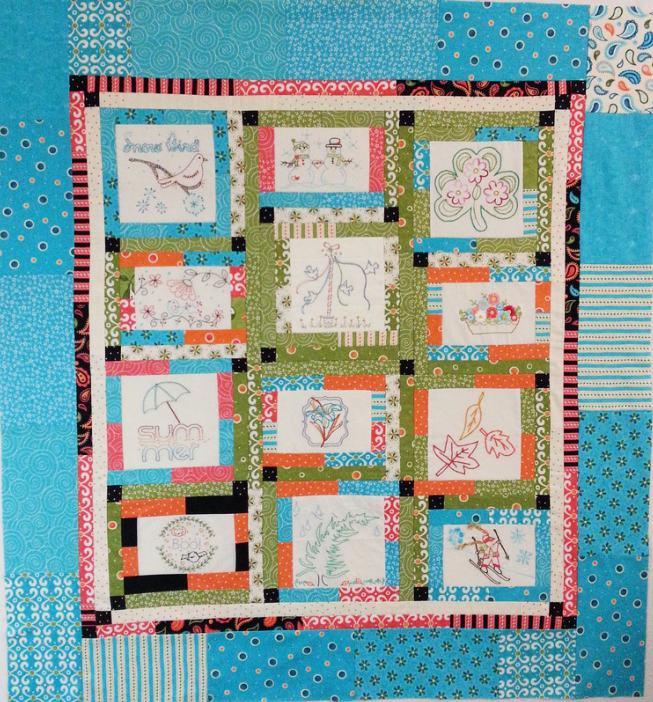 She found that she really enjoys designing and seeing how other quilters made her patterns. In 2000, Pat’s designs became so popular, that she and her husband Gregg formed a design and publishing company call Pat Sloan & Co. 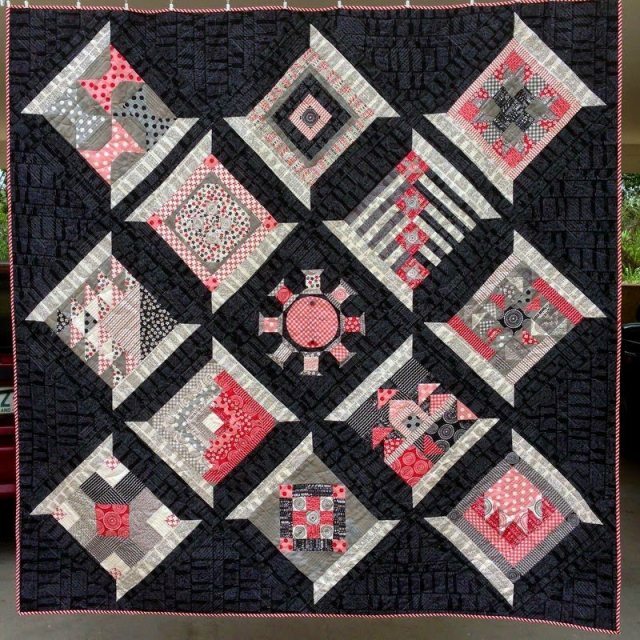 In addition to designing and publishing her work, they now travel around the country teaching and showing her quilts to quilt guilds and quilt shops. Also, Pat has had her designs published in all the national magazines, has written 35 quilt books, has designed many fabric lines for Moda Fabrics, and has curated a gorgeous range of collections for Aurifil.